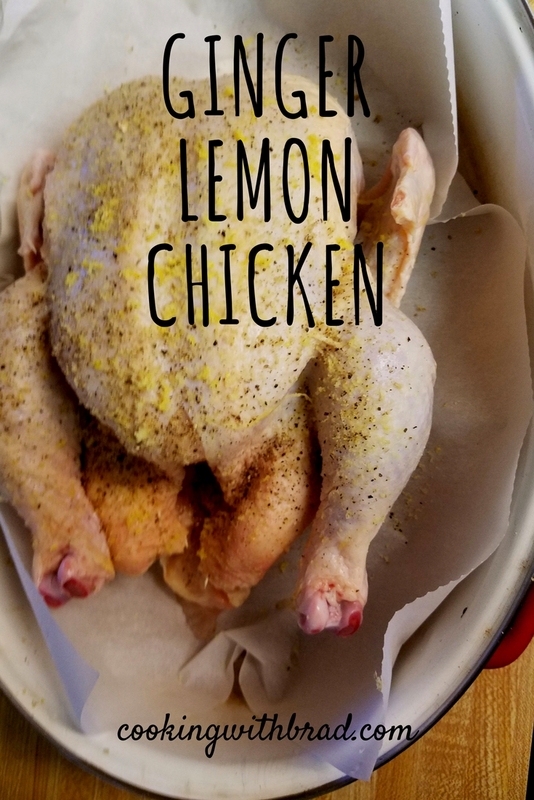 Ginger Lemon Roasted Chicken an explosion of flavors. Not a hard meal to make but boy are the flavors great on this roasted chicken dish. 15 minutes of prep time and in an hour or so it is meal time. Using frozen Ginger make grating the root a snap. The lemon is hard to mess up and talking about a mess the best way to make clean up a snap is to use Parchment Paper to line the bottom of the roaster. Your in control so make the clean up easy as well as a great chicken dinner the whole family will enjoy. Grate the frozen Ginger and Lemon Zest on to the chicken. Salt and Pepper as desired but not too hard on the salt. After the first 15 minutes turn the oven down to 350 degrees. Cook till done about 15 minutes per pound. I like to use parchment paper in the bottom of the roaster for easy clean-up.